Stone Town: Declared a UNESCO World Heritage Site in 2001, Stone Town is a mishmash of cultures, languages and architecture. 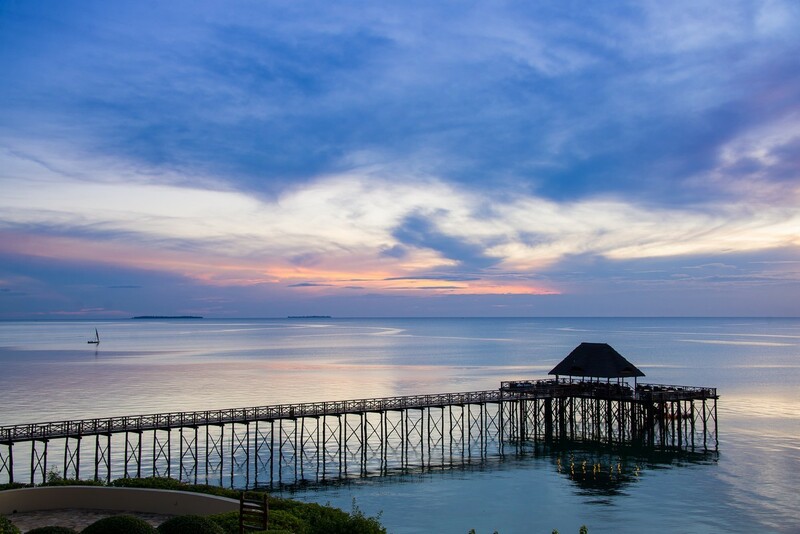 Over the centuries, Stone Town has grown from a small fishing village to a thriving town with an extraordinary history. Walking around Stone Town, you can see the influence of the different cultures that make up Zanzibar. Coral and stone houses show off imposing Zanzibar doors with brass studs as a defence against charging elephants and carvings with scriptures from the Quran. A tour of the town is highly recommended. 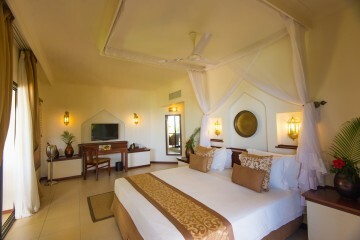 Welcome to a beautiful resort located on the West Coast of the exotic island of Zanzibar. With traditional makuti roofs and Arabic towers lit by brass lights, the hotel is a unique combination of modern facilities mixed with the original exotic architecture of historical Zanzibar. 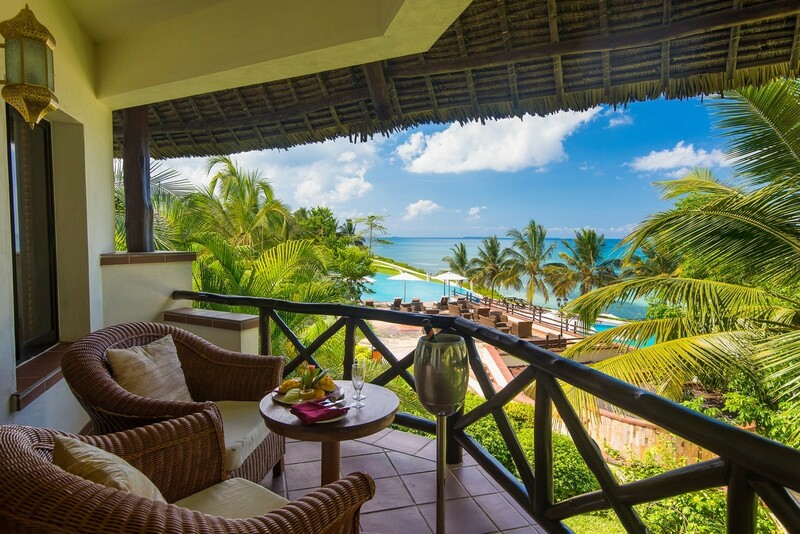 The luxury resort is situated on a cliff overlooking the Indian Ocean in Mangwapani and offers panoramic views over sparkling oceans and shimmering sands. House wines and house spirits, local beers, selected alcoholic and non-alcoholiccocktails, juice, still water, tea and coffee. Drinks are served from 10h00 to 24h00. Offering both local and international buffets. Casual dining area offering a light lunch menu located next to the swimming pool. Formal bar overlooking the Indian Ocean. A fabulous location at the end of the jetty and is open from 17h00 to 19h00 to enjoy the sunset. Complimentary in all the rooms and public areas. The club opens from 09h00 -17h00 and is available for children aged 2 -12 years. Trained child minders supervise activities such as arts & crafts and there is a children’s playground. 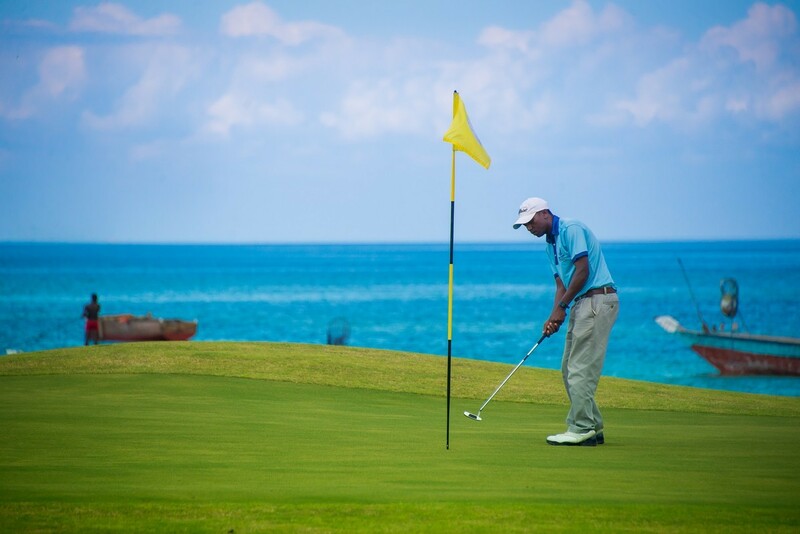 Sea Cliff is home to the only golf course on Zanzibar. 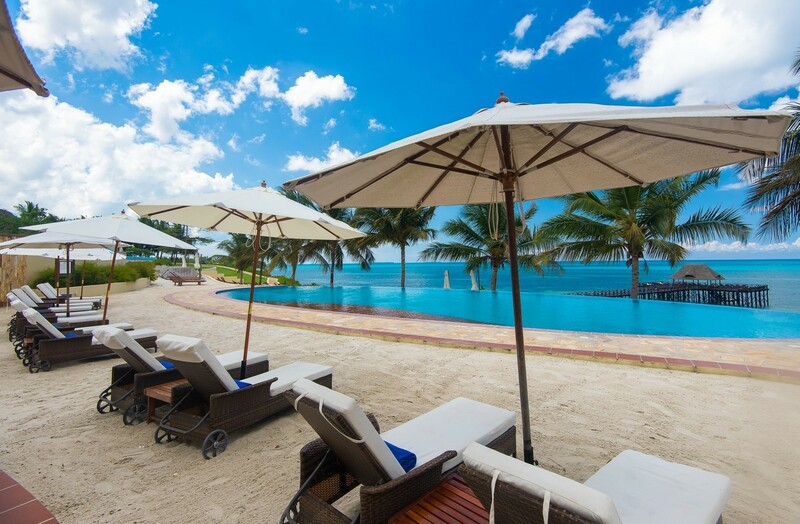 Golfers can enjoy the 9-hole Matkovitch course with its club house, under-cover driving range and practice greens which include chipping, bunker and putting greens, Two of the last holes are played along the Indian Ocean. The course has been designed with variation in distance and direction on the front and back 9 to create an experience of playing a full 18 holes. The course has a par 71, which includes short and long par 4’s and a couple of drivable options. 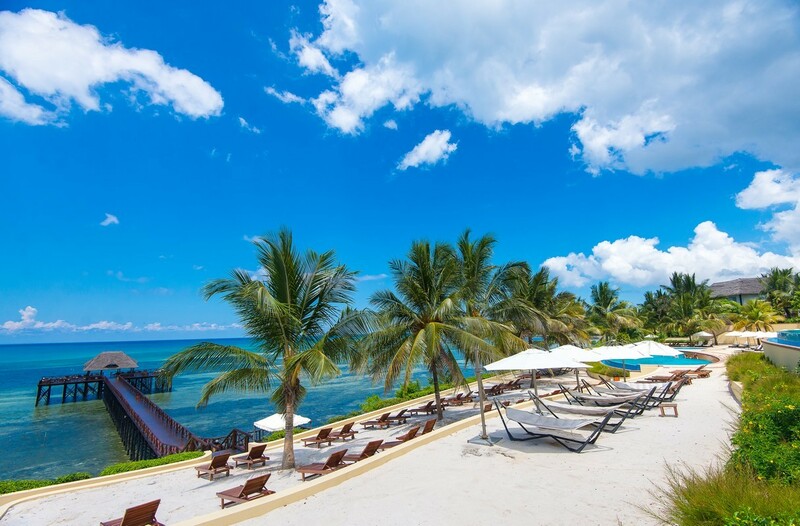 Hotel guests get preferential rates and tee off times and can hire golf carts and clubs.